always leave me feeling fuzzy inside and I wanted to try and share that feel-good factor myself. Why not try one of the following points or make up one of your own for a easy way of adding a little positivity to your life. Send a postcard, everyone loves getting post. Avoid social media for a day. 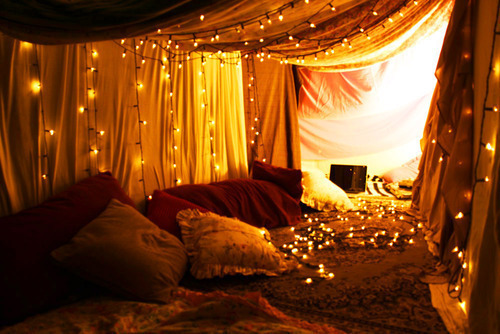 Build a fort with lots of blankets, get your favourite snacks and watch a DVD. Sign a petition to help save the Royal Mail from privitisation. Print some photos and create a collage in a pretty frame, don't just put them facebook. Have a makeup-free day, it's great for your skin. Arrange a picnic. Pack some Pimms, cucumber sandwiches and scones for a very British affair. Have a good sort out, sell things on eBay and treat yourself to something new with the paypal money. Visit your local library, discover a new author and make new friends by joining the reading group. Laugh! Find out where your local comedy night is and go along for a good giggle. 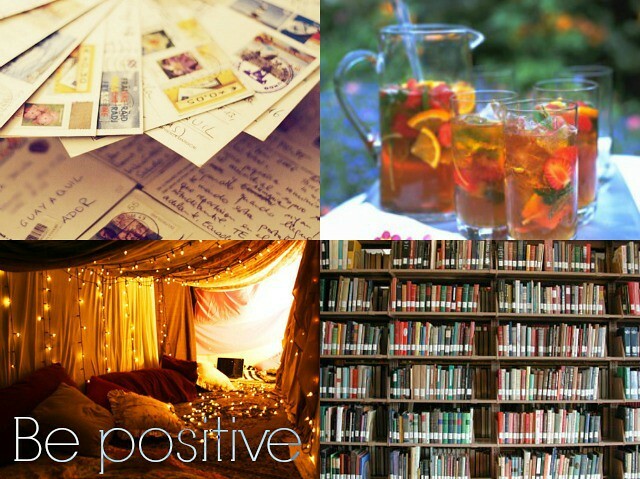 Aww what a great post, I'm behind you with the postcards, I do love them! oh no, such a great way to save money too. The less you spend on books the more you can spend on shoes ;) Love browsing in the library, always find something new and exciting. I have an ebay store so I guess i'm always cheering myself up haha! But yeah love the thrill of selling stuff on there. I love that you mentioned getting away from social media, I try to do that most Saturday - doesn't always work out to be most of the day but a good chunk - it's nice just to have that down time and not feel the need to be constantly plugged in with the rest of the world. The makeup free one is easy though as I'm a busy mum. The school run is done in shades and a headscarf haha!